Season 2 of ABC&apos;s formerly-addictive primetime sudser Revenge was a stank-hot mess. There were so many convoluted, disconnected story arcs going at the same time, I needed a Dramamine drip, protractor and slide rule just to keep up. The Initiative is behind it all! Nolan likes girls! Nolan likes boys! Takeda is an all-knowing sage! Takeda is an evil do-badder! Here&apos;s hoping new showrunner Sunil Nayar makes good on those promises to shape this show up, when it returns Sept. 29 on ABC. 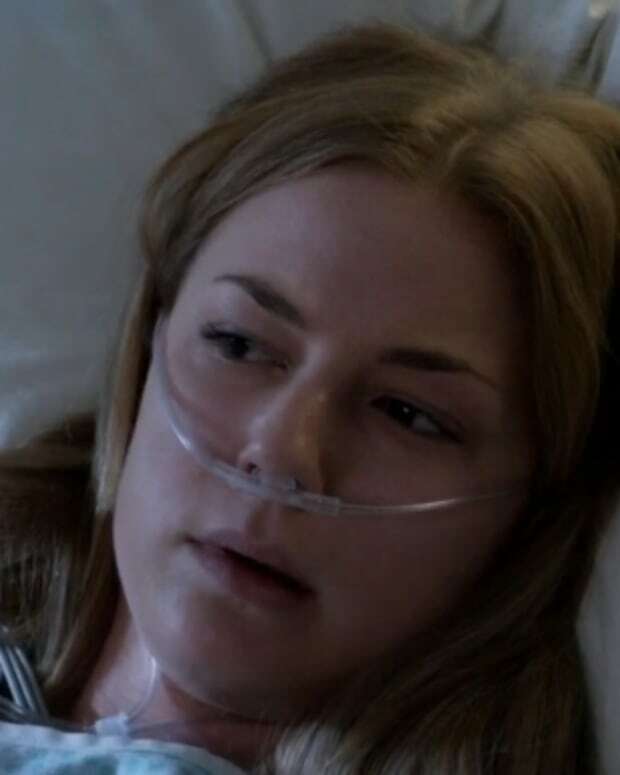 From the looks of the first promo for Season 3, Emily Thorne (Emily VanCamp) might want to invest in bridal kevlar. Watch the video after the jump!